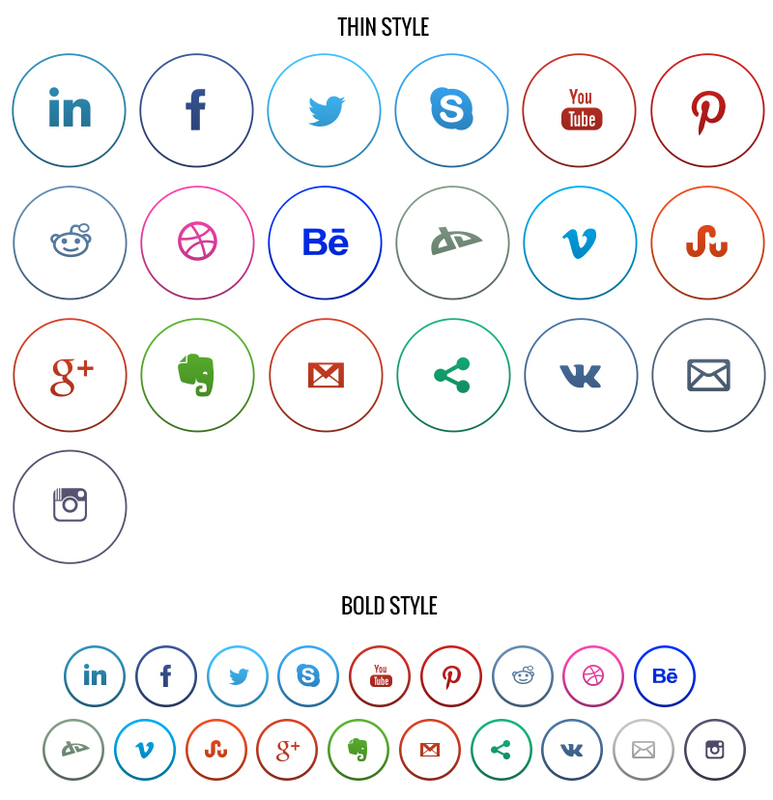 19 social icons in circles (i’ve called it RINGS) it have 2 PSD with resizable vector shapes, with 2 styles of circle – bold and thin, 3 sizes – 32×32 , 64×64 and 128×128, please enjoy and feel free to use in any projects including commercial. Q: How to remove default gradient that is in PSD? Q: How to change color of icons? These are really good. I do tend to use font awesome in most projects but these would go really well as a WordPress plugin I think.